Why Don't Libraries Have Dungeons & Dragons Gamebooks? Dungeons & Dragons and libraries should be a natural fit. Both attract people who love books, storytelling, and lore. Early D&D gamebooks even point readers towards their local libraries for research, and many libraries host comic book-themed events or have D&D clubs. This is why I was so surprised to learn how rare it is for libraries to collect D&D or any role playing game materials. How rare? Well for instance, did you know Snooki from MTV’s Jersey Shore is a novelist? There are 647 copies of her book A Shore Thing circulating in libraries across the country, and 376 copies of the sequel, Gorilla Beach. Both of them are more widely collected than anything in the entire role playing game genre. This is strange. Role playing games have been an important part of the science fiction and fantasy scene for 40 years. Many librarians are huge science fiction and fantasy readers. A study I published last year found that virtually every library in America has graphic novels in some form, and a significant percentage have clubs or events dedicated to comic books or manga. The New York Times recently noted the impact Dungeons & Dragons and other games in the genre have had on a generation of creators. 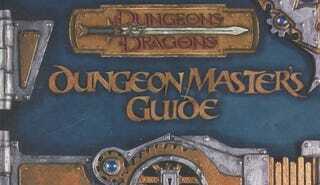 So why do we find scant few D&D or other role playing game materials in libraries? I am a professor with a background in Instructional Technology, which is concerned with how media is utilized and managed. When my librarian colleague, Brian Hutchison, mentioned his lifelong interest in Dungeons & Dragons, our discussion quickly turned to the curious dearth of these materials in libraries, and why that might be. We decided to conduct a study tracking role playing gamebooks in libraries around the country. It was recently published in the journal The Reference Librarian. We started the strength test by creating a list of important books or media that a good library should have on the shelf in the area of interest. Determining “important” is subjective — you might use awards, sales, citations in other books, or other criteria to determine which books make your list. For our list of Role Playing Game (RPG) books we used sales, awards, and fan input. We asked Reddit’s /r/RPG subreddit, they suggested hundreds of titles, and we cited them in the paper. (Thanks folks!) We made sure to respect the influence Dungeons & Dragons has had on the genre, but made sure that other publishers were well represented. About 40% of our titles were from publishers TSR or Wizards of the Coast. With all of this input, we boiled our list down to 80 titles. We then set out to gather data about library holdings for all the books on the list. The results were surprising. Only a small percentage of libraries have any of these materials, and those that have them usually only have a small number of titles. In some areas of the US, the collections were virtually nonexistent. We found approximately 3,500 total copies of any of the books on our list. When you compare that number to the more than 17,000 library branches and bookmobiles in the US, it’s pretty safe to say probably about 9 out of 10 libraries have no RPG materials, and the ones that do have stuff don’t have very much. Only three of the books on our list had over 300 copies in circulation. Seven of the books on our list had no circulating copies. The most commonly held book was the 2008 edition of the Dungeons & Dragons Player’s Handbook, with 327 copies worldwide — almost 50 fewer copies than the sequel to Snooki’s opus! If you like irony, there are 70 copies of the world’s most depressing cookbook, Microwave Cooking for One, on library shelves, and 21 copies of Heroes of Horror. Heroes of Horror is the Dungeons & Dragons book that allows you to play as an Archivist — a magical librarian. The collections we did find were not very diverse. Even though TSR/Wizards of the Coast books only made up 40% of the books we searched for, titles from this publisher made up more than 80% of the books we found. The publisher White Wolf (which does not exist anymore) made up 7% of the books we found. Paizo, publisher of Pathfinder games, was third. Their books made up approximately 5% of the books we found. This is especially disappointing, as I know that Paizo is a company that really cares about libraries. Did Anti-D&D Paranoia Influence Libraries? There is no sign that popular interest in fantasy and science fiction is subsiding. Game of Thrones, Lord of the Rings, HP Lovecraft, and Star Wars all have direct links to the role playing game genre. An increasing number of universities offer video game design and development programs, and Dungeons & Dragons has been extremely influential in the history of video games, especially in Japanese RPG’s. D&D games are natural tools for libraries to use in community building in public libraries, but they also belong in academic libraries; the academic study of games has steadily increased. We heard many different reasons why libraries might not stock these materials widely, but none of them made much sense. I have my own theory. Many of us remember the anti-Dungeons & Dragons paranoia that followed the popularity of the game. There were two distinct flavors, groups that felt the game was mentally unhealthy for kids, and a second group who literally believed the game could lead to summoning of actual demons and dark forces. Much of the anti-Dungeons & Dragons literature even specifically targeted librarians. These groups were much more active in the South. For our analysis, we first grouped states by census region, and indeed, the state tallies in the Southeast US were pretty incredible. Many states had less than 10 copies of anything in the genre. To be clear, if you totaled every RPG book in every public or academic library some of these states, you’d sometimes find less than 10 books. West Virginia, Mississippi, and Arkansas are in the ‘less than 10’ club. Louisiana, Tennessee, Alabama, and South Carolina all had less than 20 books apiece. If you adjust for population, the bottom 12 states are all in the South. In fact the Fort Wayne, Indiana public library system has more circulating books in the genre than every public and academic library in the Southeast put together. Correlation is not causation, but I have trouble imagining that the anti-D&D movement didn’t have some impact on these numbers. My second theory as to why libraries don’t have more of this stuff comes from a commonly shared librarian rumor. We had librarians tell us that these books are not collected because they are often stolen. This may just be a pervasive myth. We searched for any relevant information about library theft . We weren’t able to find anything to substantiate this suspicion. We did have some data to counter this idea: The 1978 version of the Dungeons & Dragons Player’s Handbook and the 1979 Monster Manual were among the most commonly held books — if hundreds of copies of vintage books have circulated without being stolen for decades, it calls into question the idea that these books are disappearing when included in collections. It’s worth noting that there are libraries with non-circulating collections (non-circulating means you can’t check out the books) that we did not include in this analysis. For example, the Edwin and Terry Murray Collection of Role-Playing Games at Duke University has a collection of more than 13,000 items. But these special collections are very rare, and often more resemble museum collections than library holdings. You can’t just show up and play games in the Duke collection; it’s for research only. Since the publication of the academic journal article, we have heard from a few librarians who have told us their libraries don’t allow people to check out D&D materials. The future does look better. Libraries know the media landscape is changing. The ever-growing influence of the internet in our lives has in many ways made libraries more vital than ever. Libraries are increasingly becoming places where the community interacts with media, not just places for them to retrieve media. I don’t see this as a failure of libraries, I see it as a huge opportunity for librarians to connect with a different part of their community. Librarians seek to serve their patron communities, and it is time they considered adding more from the RPG genre to collections. My study on comic books in libraries found that the average age of someone who checks a graphic novel out of a library is between 15 and 18. A DC Neilsen study on people who buy comic books showed the vast majority of people who buy comic books is 25-44. I would bet the same trends would be found with RPG materials. Putting these books in libraries is a great idea for publishers. In the future we plan to study library use of these materials, and we are currently mapping out a study to put the ‘D&D books get stolen” idea to bed. In the meantime, I encourage genre fans to talk to their local librarians. A few vocal patrons can make a big difference, give your local library an excuse to collect and display these materials. Give them some friendly guidance, and make sure to speak up for your favorite publishers! * We quickly learned that collecting these materials presents special challenges to the small number of librarians who collect them: None of the first editions of the three biggest games at the origin of the genre — Dungeons & Dragons, Traveller, and Runequest — had an ISBN number, likely because they were self-published; I don’t believe that the original creators of the genre could anticipate just how influential their works would become. Getting specific numbers on individual books was complicated by the fact that 70% of the books on our list were catalogued under multiple names. It is understandable; the titles of RPG books do get long and often contain a fascinating number of semicolons. In the Worldcast library database, The Dungeon Master’s Guide title is almost 50 words long: Advanced dungeons & dragons, dungeon masters guide: special reference work: a compiled volume of information primarily used by Advanced dungeons & dragons game referees, including combat tables, monster lists and encounters, treasure and magic tables and descriptions, random dungeon generation, random wilderness terrain generation, suggestions on gamemastering, and more.